Kitchen cloths are rarely something that prompts positive comment, so I was delighted to find Jangneus. Their range of dishcloths and tea towels really do combine function and form as they are available in a range of fresh Swedish designs . The highly absorbent dish cloths are made from natural materials (cellulose and cotton), so are 100% biodegradable. They can be freshened up with a wash at 60c, and when they are worn out they can be thrown in the composting bin. The equally colourful tea towels, made from a mix of linen and cotton, are also washable at 40c. The designs may be Scandinavian, but the dishcloths and tea towels are all made in England, and printed at a family-run printers in the Cotswolds. They are available in monochrome or a range of colours from zesty lime to riotous red. 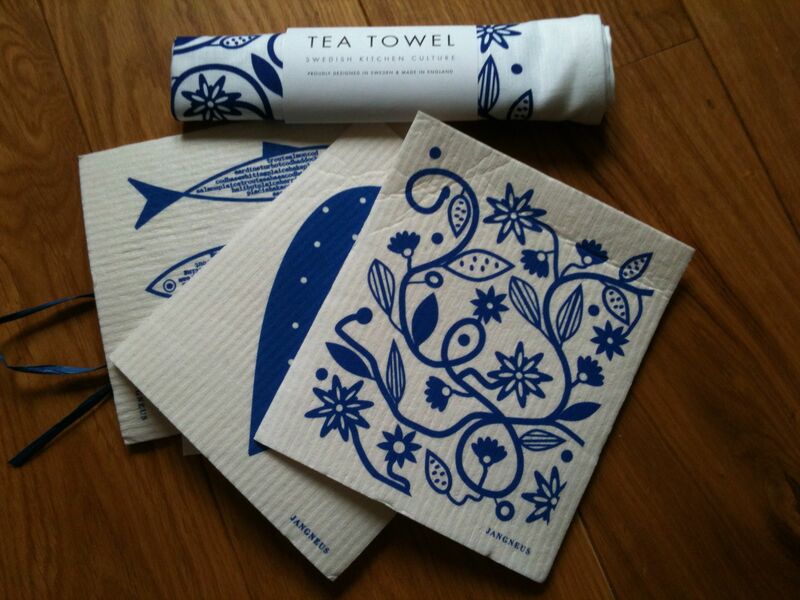 The dish cloths retail at £2.95, the tea towels are £12 each or you can buy a bundle. There is even a subscription package!